So I've gathered up all the confirmed news around the world wide web and thought I would compile a "guide" of sorts for the upcoming Playstation 4. Everything from how Playstation Plus will work, games, hardware and more. So here you go. Hope this is helpful! $399 in the US, €399 in Europe, Â£349 in the UK and $549 in Australia. 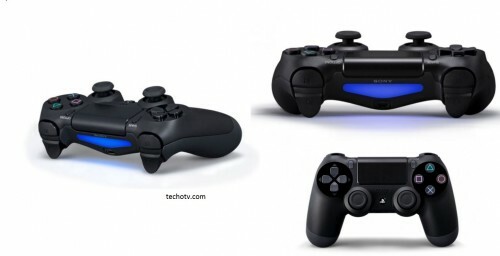 Each console will come with one Dualshock 4 controller. The newly designed controller features a clickable touch pad, share button for uploading gameplay, a glowing bar at the back to interact with the camera, better triggers and more responsive buttons, a mini-speaker and a headphone jack. It is confirmed that a headset will be packaged with the PS4. 500GB. However users can swap out the storage for a hard drive of any size. No. The PS3 was developed on Cell architecture, while the PS4 uses a more conventional design, making backwards compatibility virtually impossible. However, Sony will be bringing cloud streamed PS3 gaming to PS4 next year in the US with Gaikai – how this will be priced is yet to be revealed. You will be able to carry over your PSN profile over to the PS4, including your hard-earned trophies and avatar. All PS4's will be region free. You will be able to have up to 2000 friends on your friends list as opposed to PS3's 100. The PS4 will have cross game chat. It was originally to be a PS Plus exclusive feature but Sony has now announced that all users with a subscription or without will be able to take advantage on cross game chat. Of course, there will be blu-ray. The bonus is that bluray discs will be 6x speed so that games will be read faster off the disc than on PS3 meaning less loading and better gaming. The PS4 will only play on HDTV's using HDMI cables. No support for SDTV. You’ll be able to livestream games to Ustream, as well as upload previous gameplay of the last 5 minutes to Facebook. Interestingly, Sony also detailed a feature where your friends would be able to take over your game to help you out in certain scenarios (and with your consent). Yes. You will have to be a member of Playstation Plus in order to play online. Although, social features like having PSN friends, streaming services like Netflix and most Free-to-Play games like PlanetSide 2 will not require you to pay for PS Plus. Sony has promised that there will be at least one free game a month on Playstation Plus. The first free game will be a Playstation Plus version of the upcoming racer DriveClub. It will be a stripped down version of the full game. Soon after, three more games will be released: Don’t Starve, Outlast and The Secret Ponchos. All PS4 games, except those that use the PlayStation Camera, will support remote play, meaning you can stream PS4 titles to your Vita wherever you are, as long as you have an internet connection. The PlayStation 4 can play games offline without having to be online. Sony will not have any mandatory DRM for used games. You can buy, play, trade used games on the PlayStation 4 just as usual. No additional registration fees, pay-walls or internet registration required. If you so choose, you can play games from disc, download them from the digital store or remote load them. Sony doesn't mandate any method over the other for multi-format titles. Just for extra clarification, the PlayStation 4 does not and will not require a constant always-on internet connection. If the console is connected to the internet, it will automatically update all games and the system FW. It supports background downloading. And, you’ll be able to play PSN game as they download. You will not need a PS Plus subscription for any of this. - Sony has revealed that 140 games are currently in development, with 100 of them being released within the first year - and 40 of them being Playstation Exclusives. - Sony Pictures Entertainment is producing content for the PS4, Music Unlimited, Movies Unlimited Redbox and Flixster will be available at launch, while other PS3 services like Netflix are almost definitely set to be there at launch. - Playstation Home has not been announced as of yet. - You will not be able to use the DualShock 3 with the Playstation 4. However, the PS4 will support Playstation Move. I do wonder if it isn't cheaper to just order the console from the United States for people from Europe, because with the whole dollar losing value, the price would drop a whole 100€ from the default European price. That is a logical idea. I guess the main issue for people purchasing consoles from other countries would be if the console were damaged or an issue broke out. Why is it that the consoles are not selling in Japan? Maybe I'm pretty stupid, and it's pointing me right in the face, but I really don't know. I also like the idea that Sony implemented the game streaming as well. Too bad it's Ustream and not Twitch, but it will do just as well I guess. Thanks for sharing this! It's nice to have all the info in once place. I don't really like that playstation 4 isn't backwards compatible.. it's pretty stupid. So I will have to keep two consoles plugged in or just play whatever I will have on the new console. Would be nice to see more indie games. but playstation isn't really known for it's indie genre. This will change drastically, as Sony has confirmed that indie devs can self publish their games on ps4, as well as no patch fees. The Sony press conference at e3 there was about 20 min dedicated to indie devs with 8 screens running simultaneously (1 for each game). Sony has recognized the lack of indie support, and they are addressing it with a double-edged sword. Ps4 will be the place for indie devs to develop. Good news for you, and indie lovers alike. Hope this helped. Plus I like Sony they make great products as well that blend in nicely with their stuff. I like that reading this kind of presentation of the PS4. It really is a beautiful console that Sony offers. There has advantages and positive things. The price is not too expensive and the lever retains its original style. The PS + was in the big surprise .... I thought the PSN will remain free, but Sony has clearly not choose to do that. The maintenance of servers and everything should cost awfully expensive. But I love the PS4! Has there been any talk of the possibility of using PS3 controllers with the PS4? I haven't seen anything as of yet, but it would be very nice no to have to drop another $100 or so to make sure my whole family can play. They've confirmed no dualshock 3, though Move is compatible. I'm assuming it has to do with the PS4's touche pad/ Share button. The more I read about the PS4 the more excited i get for it. Thanks for the guide, very interesting. One thing I do not like is that you have to pay to play online. Although, I will put up with that as long as it is a reasonable price. It looks very good and thank god my PSN account is saved. Seems like there is going to be a lot of games released, which is good. I probably won't get it in the first year though. With the pay to play online thing, it will only apply to some games. First party games will be free to play online, and I think also it's up to the developer if they want to charge for online. Yep,free to play games ARE free to play games. Unlike another console where its behind the paywall. Woah! You made this guide yourself? It looks like an official one for me. So far nothing looks bad or unpromising except the user interface that looks like Xbox One's Windows 8 Does anyone know why the release date in Japan is 2 months after US and EU? Thank you. Yes I put this all together myself after researching a lot all over the world wide web. I'm not too sure why Japan is getting PS4 two months later. You would think it would be the other way round! Not that thrilled about the PS Vita connectivity. The lack of backwards compatibility could also be a downer but I don't care. The other specs and features more than make up for it. It seems as though we will be getting a lot of bang for our buck for the PS4.